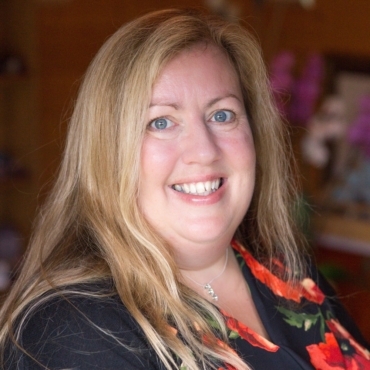 Hi, I'm Katina Chapman and I run Spiral of Light, offering a wide range of alternative therapies that complement each other. Each therapy is designed to help you empower your life, build confidence and feel stronger and healthier. As part of my Sound Therapy case studies, I worked with students with learning difficulties at Otley College. I worked for over 20 years in Human Resources; my last post was as Head of Human Resources for Otley College. I left in February 2011, to pursue my passion for alternative therapies. I specialise in Sound Therapy and Crystal Therapy. 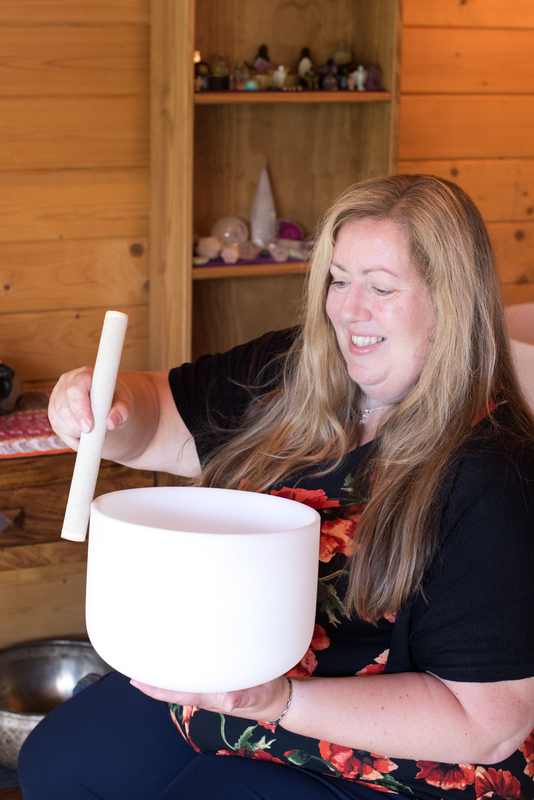 I trained with Crystal Dimensions and the British Academy of Sound Therapy, (see below for a full list of my alternative therapy qualifications). I noticed my dad, who is 92, enjoyed playing the drum with me. It occurred to me that if he enjoyed playing other people his age might also enjoy drumming. I arranged with Stradbroke Court Day Centre (Lowestoft) to run a drum circle - the response was amazing. The day residents loved doing something active. Since then I've been going into various residential homes and day centres in Lowestoft working with the elderly and adults with learning difficulties. The response has been really positive. For example, I've noticed one group with dementia, over a period of weeks, recognise me when I walk in and once we start drumming they remember the simple rhythms, they also have become more talkative. On the crystal side, I hold individual sessions and regular workshops which help people identify beliefs that are holding them back, build their confidence and take charge of their life. Both Crystal Therapy and Sound Therapy work on the principle that well-being on all levels is caused by the free flow of energy. When energy is blocked, mental and emotional imbalances are created. We hold our emotions in our energy body. If we have sadness or an anger from the past, that we haven't let go of, we hold it in the energy body. If not released, eventually it will manifest as a physical illness. The healing therapies complement each other perfectly. Crystals and Sound help as a source of transformation in your life, by helping you to explore your personal inner worlds to discover your beliefs, attitudes, and actions, which may be limiting your ability. Your higher self then allows these discoveries to flow through to your subconscious and conscious minds allowing you to make the change. Energy Interference Patterning helps to release any deep-rooted beliefs that are no longer serving you. * I deliver funfilled, exciting, interactive, community workshops at the Women's Health Centre, the Crystal Cabin and at residential homes and day centres in Lowestoft. * I run targeted sound events which stimulating creative thinking, team building, communication, leadership and decision making skills, previous clients include Otley College, Women's Health Centre and the Suffolk Show. * I work with people with learning difficulties and disabilities, the elderly and people with dementia. * I have appeared on Suffolk Radio twice to promote the use of Sound Therapy. * I hold regular group sessions and 1-2-1 appointments which help individuals take responsibility and empower their own lives. If you would like to know more, please contact me by email Katina@SpiralofLight.co.uk or by telephone 01502 58 73 41. Immerse and renew with a workshop or soundbath.